It’s thanks to this stroke of luck that the Diogenes Quartet is celebrating its 20th anniversary this year! In 1998 four idealists decided to dedicate themselves to chamber music, their shared passion, together in Munich. The quartet owes its name to a long-standing friendship with the late Rudolph C. Bettschart, co-owner of the Swiss publishing house Diogenes, who died in 2015. The quartet’s individual style reflects the influences of collaborating with outstanding pedagogues and ensembles such as the Amadeus Quartet and La Salle Quartet, but its sound has been shaped by an intensive collaboration on creating its own unique expressive musical voice. The four musicians embarked on an international career early on, performing in France, Greece, Britain, Italy, Austria, Spain and Switzerland. They have played in top concert halls such as the Cologne Philharmonic, and at festivals including the Mozartfest Würzburg, European Weeks in Passau, Samos Young Artists Festival and the Festival de Radio France et Montpellier. Since its founding the Diogenes Quartet has performed a wide range of the extensive repertoire for string quartet. They have explored chamber music for larger forces with the pianist Andreas Kirpal, and given their own series of concerts at the Gasteig in Munich. As well as masterpieces from the classical and romantic repertoire, the quartet is committed to performing lesser-known and contemporary compositions such as the string quartets by the Munich composer Pierre-Dominique Ponnelle. The quartet’s chamber music partners include Anna Prohaska (soprano), Tyler Duncan (baritone), Lydia Dubrovskaya (violin), Priya Mitchell (violin), Hariolf Schlichtig (viola), Roland Glassl (viola), Monika Henschel (viola), Wen-Sinn Yang (cello) and Nabil Shehata (double bass), and the Buchberger Quartet. 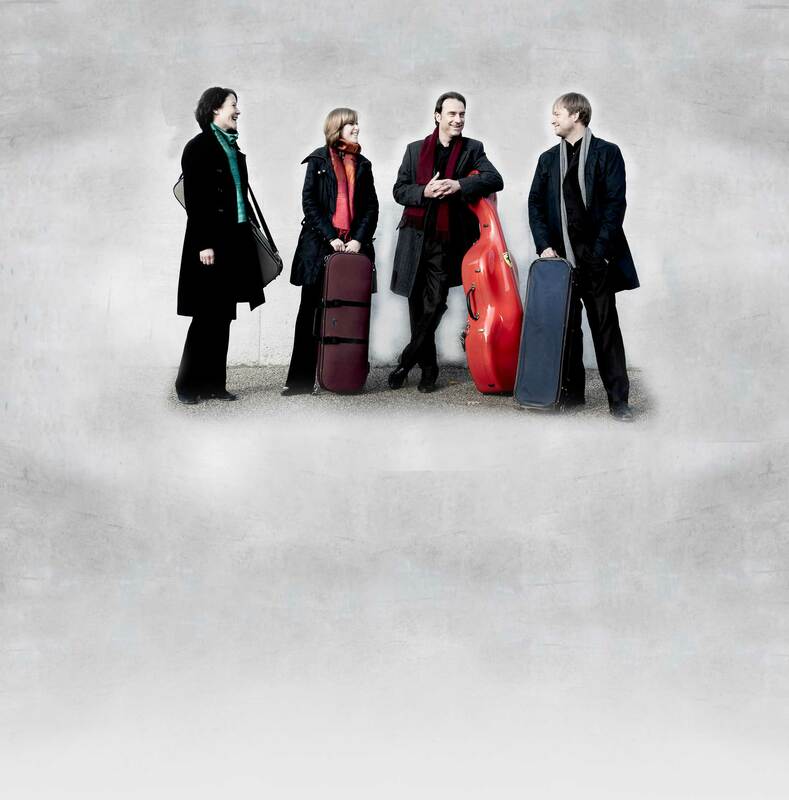 The Diogenes Quartet is a founder member of the VDSQ (Verband Deutscher Streichquartette e.V. – Association of German String Quartets), which was inaugurated in March 2012. The quartet also hugely enjoys participating in crossover programmes, such as collaborating with violinist Max Grosch’s jazz quartet in “A Dream of Brahms”, highly popular with audiences. The Diogenes Quartet also places a strong emphasis on musical education. For several years the four musicians have given concerts specially for children and they organise workshop concerts at schools offering children of all ages the opportunity to hear and experience classical music. The quartet’s chamber music workshops for young ensembles are also tremendously successful. Since 2015 the quartet has been an ambassador for SOS-Children’s Villages. Over the years, many of the quartet’s concerts have been recorded or broadcast live (on Bavarian Radio, Hesse Radio, Radio France, Radio Galega in Spain), including premiere recordings of works by Friedrich Gernsheim, Engelbert Humperndinck and Friedrich Fesca. A recording of the complete Schubert string quartets on the Brilliant Classics Label in 2017 was highly praised by critics. The quartet has also recorded the recently-rediscovered String Quartet in C minor (1852) by Max Bruch for the same label, following their world premiere of the work in Frankfurt in 2014. In 2017 they made a DVD of the String Sextet by Max Reger for a British film project “Maximum Reger” by Fugue State Films. The musicians have also worked intensively on the music of Brahms’s contemporary Friedrich Gernsheim. In early summer their recording of his 1st and 3rd String Quartets will be released on the cpo label.